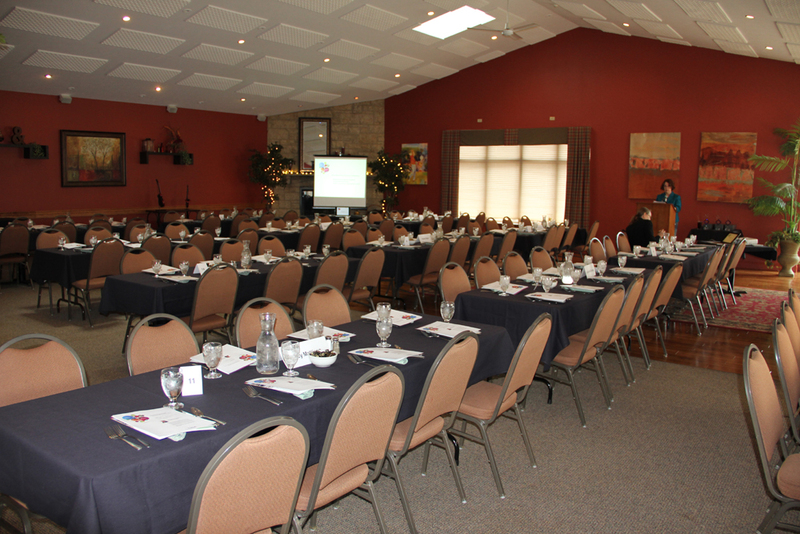 With a banquet room that holds up to 140 comfortably, we are perfect for a wedding reception, business meetings, showers, anniversary parties birthday celebrations, and much more. Our patio and outdoor brick grill are great for a party of 40 people to enjoy the outdoors, grill your own steak, and socialize in a relaxed environment. You supply the grill masters, and we’ll supply the set-up, food and clean up! At Woodbine Bend, we have held events for schools, universities, political platforms, weddings, receptions, fund-raisers, corporate events, and many social gatherings. We have a fully equipped bar and the capability to add a second bar if needed. Our large dance floor functions well for weddings/receptions and we also have an outside area perfect for small group events or wedding ceremonies. We will be happy to refer you to outstanding area businesses that may help during the planning of your event. Cake decorating, entertainment, and accommodation arrangements are all areas we may be able to assist you with! We offer a wide variety of professional and social linens for any type of event. Ask us about our combination golf outing/steak fry! This is a great cost saving that we can’t pass on to you and your business associates, family, and friends! All private parties will be charged a room fee of $250 for private dining. Linen charges are normally $3.00 per table and $.50 for cloth napkins (does not include specialty orders). A setup charge of $1.50 per person will be added to the final invoice as well as standard tax rate and an 18% gratuity charge. A guaranteed number of attendance is needed 7 days prior to the event. The guaranteed number is not subject to reduction. If the guarantee is not received in a timely manner, a charge for the most recent estimated attendance or actual attendance, whichever is greater, will be applied. Entree number totals that have multiple entree choices are also due at this time. If you are interested in speaking to someone regarding the possibility of a future event, please feel free to contact us at Woodbine so that we can answer your questions and provide you with an accurate estimate. Our staff is available and willing to help you calculate and determine your needs! Our event form includes general information that will enable our establishment to get started on an event quote for you. If you would like an accurate cost or have special instructions that would require further information and calculations, please fill out the following form and submit via fax, email, or postal service.